Every week on Saturday starting from 10:30 to 12:30, Mandarino organize Chinese corner free of charge for anyone who is interesting in learning Chinese. We offer free space, free water, free teachers to guide you through your Chinese study. Each time, an interesting topic will be covered by our innovative teachers,1 following a free talk section between the participants. The theme of the event of this time is Festivals. During the corner, The speaker will first introduce you with the basic phrases and sentence structures commonly used under this topic, following free talk discussions on Festivals in general. Come and join MandarinPro Chinese Corner to discover, to explore and most importantly to have fun!! MandarinPro is a Chinese Language center specialising in Business Chinese education.We have carefully designed and curated each one of our high quality Chinese Language Programs to serve the needs of business professionals. Our aim is to help our students build a solid linguistic and cultural foundation for career and life success. Our community promotes cultural exchange and mutual understanding through public speaking events and cultural experiences as seen below. MandarinPro’s Learn Abroad Program provides the necessary Chinese immersion, while enabling participants to make new friends from all over the world. Students will have an unforgettable experience as they learn a new language, grow familiar with a rich and vibrant culture, all in a safe and friendly environment. Community is one of the key values of MandarinPro. Business Chinese: This course is for students in enterprises or startups who are concerned about the professional opportunity costs of being unable to fully interact in Chinese at work, focused on the goal of seamlessly communicating with coworkers or clients in a business capacity. Cultural Trips : what better way to gain firsthand knowledge of Chinese culture by partaking in traditional activities such as making dumplings, trying out Chinese calligraphy, and why not, a KTV outing with the team! "As reluctant as I was to engage in formal Chinese classes due to my busy agenda, when I met Wang Li, her school and her innovative concept of teaching, I immediately started to see the results. Her school offered me additional tools to my private classes to learn Chinese fast. The group activities and public speaking practice are just some of the many examples that speak volumes about the comprehensive approach Wang Li has to teaching Chinese. MandarinPro is the best option in Beijing to learn quickly - I believe that what her school offers is unique among schools in Beijing." 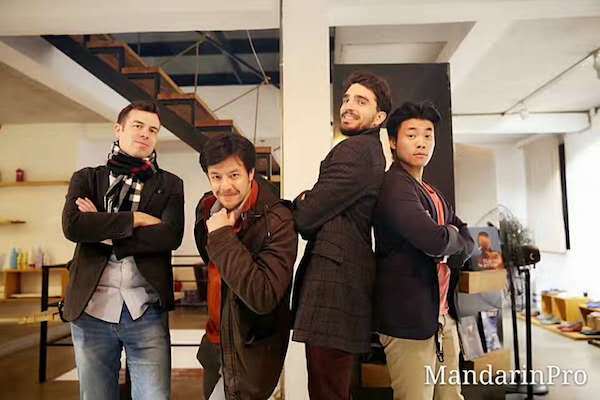 " I’ve been a student of MandarinPro since November 2015. The school has a clear vision about how to teach Chinese, This can be seen in the organization of regular public speaking/training events and partnerships with embassies and internationally-known companies including Audi, Mercedes-Benz and Merck. MandarinPro also has a strong understanding of what staff need to deliver to meet the demands of a B2B language school." Sign up today, and Empower yourself with the Mandarin Chinese skills you need.